My Snape costume.. I also own the trousers but I don't wear them on the pic. xD. HD Wallpaper and background images in the Severus Snape club tagged: severus snape. the custome is just great!! your hair is that long or you have a wig? You look like HIM,you really do.Sure you're not him?! mmmmmm you're so Yummy! looks like mrs.Snape ! Oh yes that is really hot Mr Snape. I think I am in Love with you. I look like Hermione, have a picture, want you to see it? sorry my english is bad. Wonderful photo! 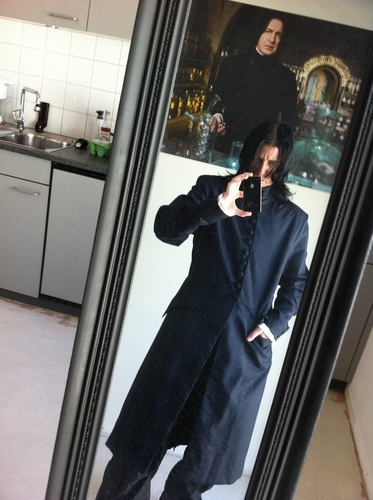 I love it so much ♥ You looks great, like Snape. Lol, you look wonderful! Really wonderful! Wow......for once in my life,I'm speechless.This is just too cool.